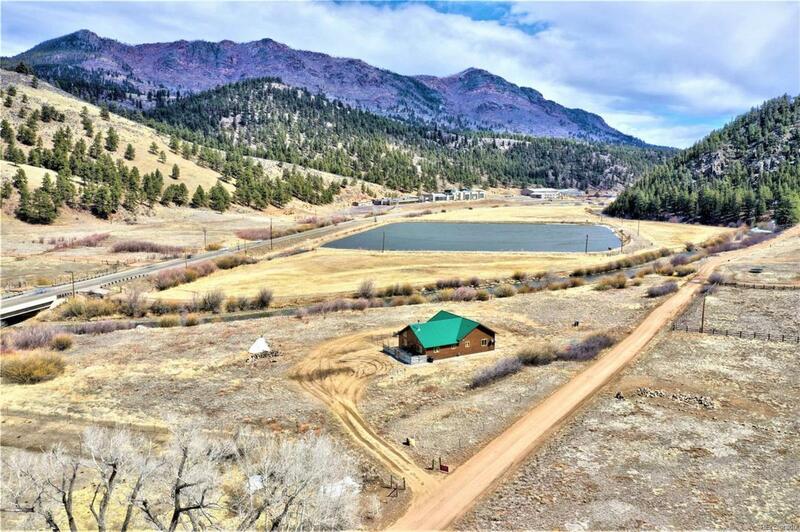 3 LEVEL ACRES - MOUNTAIN VIEWS, NEAR RIVER. ..................Wonderful Newer Ranch-Style Mountain Home/Cabin. Colorado Mountain Living--w/ charming wood exterior and green metal roof. Lovely open floor plan. Beautiful spacious kitchen w/ granite counter tops-and stainless steel appliances. Wood stove in the family/dining room- for those cool nights. Designer colored light grey walls, fantastic light fixtures, large quality doors & vaulted ceilings. Light and bright. Desired main floor living- that you will love. Flat land-- for your dogs and play. Garden areas for your planting and annual mountain flowers. Abundance of parking - for visitors of family and friends. Primary or 2nd Home. Easy access to 285. Call listing agent for information and a tour. This property is on the line of Bailey and Shawnee: For GPS: 191 Jess Mar Drive Shawnee, CO 80475. Survey available. Welcome Home! Offered by Homes And Lifestyles Of Co.